A ring consists of a piece of metals with diamonds set into metal prongs. That being said, the ring can get damaged or prongs can get worn and loosen or lose diamonds. I appraise and make diamond rings with lots of diamonds. These rings need to be kept clean and examined for loose stones on a monthly or bi monthly basis. Dirt can work its way under a stone and assist in making a stone loose. Prongs can bend and also create a loose stone. 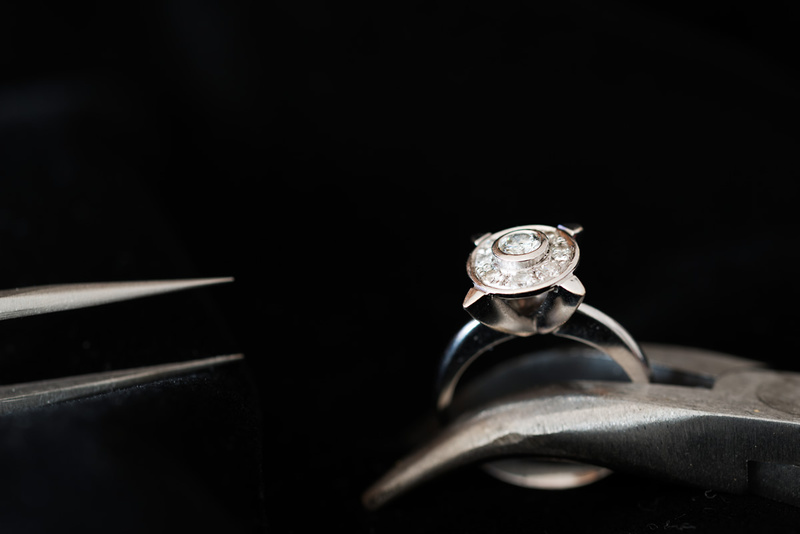 Cleaning by a professional jeweler can keep you ring in good working order.